This bowl is such an eye catcher! 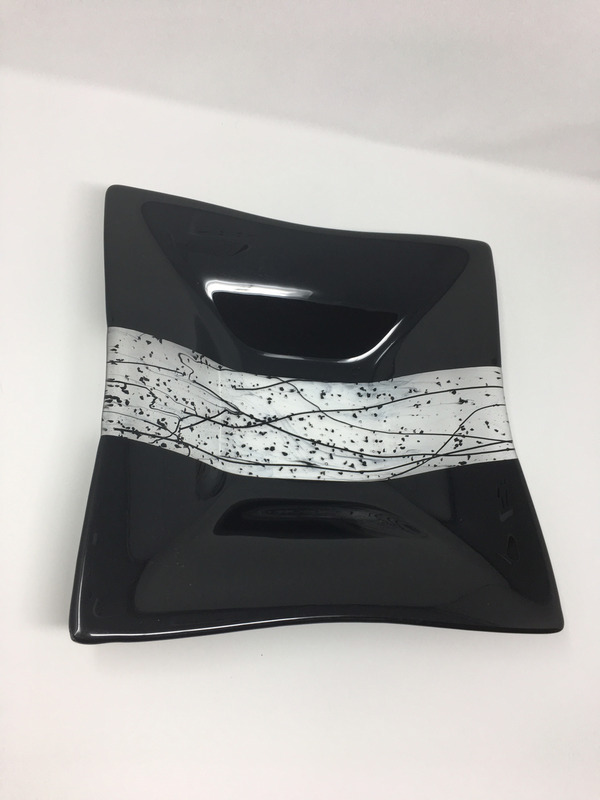 It is black on top and bottom encasing a strip of clear glass trimmed with black stringers and frit. The Stand is sold separately. This item is not microwavable and should not be put in the dishwasher or oven.